This was 65-year-old Marc Dominus' first art show. But it won't be his last. It was an ordinary Friday night at Kettle Art. Gallery owner Frank Campagna, a glass of red wine in hand, greeted rain-soaked spectators as they escaped the streets of Deep Ellum and took refuge among his painting-covered walls. It was the second evening of the Masstige exhibit, featuring works by North Texas artists Jamie Walters, Minji Kang Watrous, Todd Gutmann, and Marc Dominus. It was a typical group show for the gallery. Onlookers gazed at canvases swept with striking colors. Hard lines gave way to elegant brush strokes. Varied textures intersected. The abstract show was a feverish carnival for the eyes. Halfway through the evening, a group of roughly seven guys came strolling into the space. The gallery owner didn’t think much of this at first. But then, he noticed something peculiar. It was mid-September and the K-pop band was in town for two consecutive sold-out performances at the Fort Worth Convention Center. BTS sold out their first U.S stadium show, at New York’s Citi Field in minutes. The entire “Love Yourself” world tour, with the exception of a few dates in which tickets have not yet gone on sale, has sold out. Photos courtesy of Time Magazine. The group made history last month when they became the first-ever K-pop band to address the United Nations. 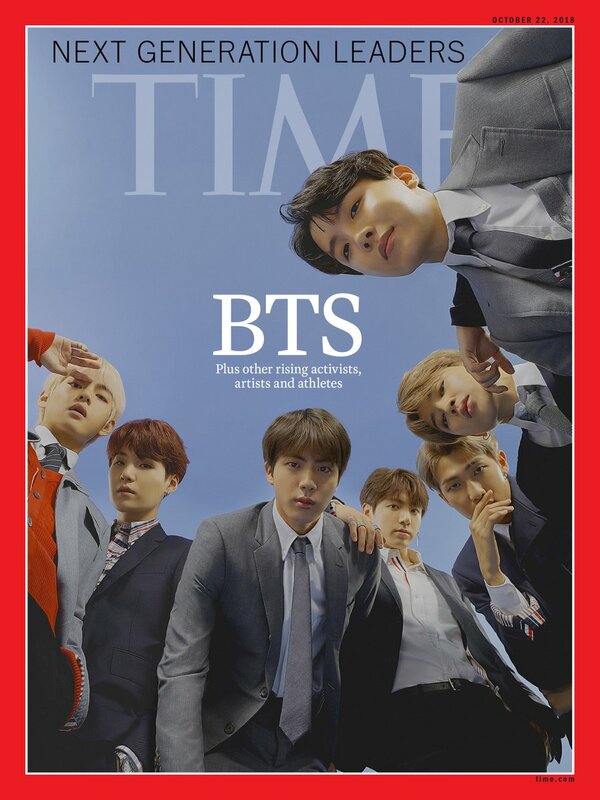 They have been chosen as one of Time Magazine‘s “Next Generation Leaders” and snagged the cover of the October 22 issue. They have 12 million YouTube subscribers and 13.7 million Instagram followers. They are currently the biggest boy band in the world. So, when, by rainy happenstance, seven handsome young pop stars set out to explore Dallas, and ended up in Deep Ellum, and then in Kettle Art Gallery, it would end up being a cool story for Campagna. But it would be an even cooler story for artist Marc Dominus—this would be the first time he ever sold a piece of art to a complete stranger. 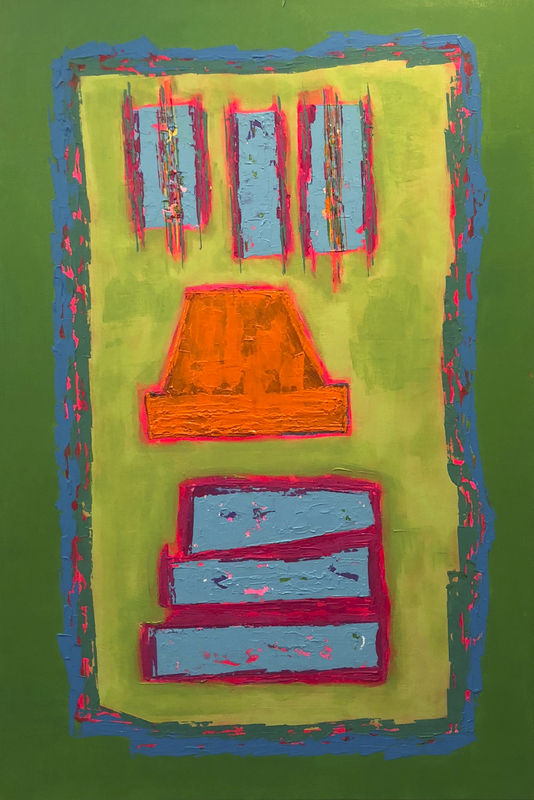 Marc Dominus describes himself as a “young 65-year-old.” He lives in a house in Little Forest Hills and recently installed a small painting studio in his backyard. He was thrilled to be included in the Masstige exhibit at Kettle Art. It was the first time his work had been displayed in a professional capacity. So, on a dreary Friday night, when a young man with bubblegum pink hair took a liking to two of his pieces, he was over the moon. 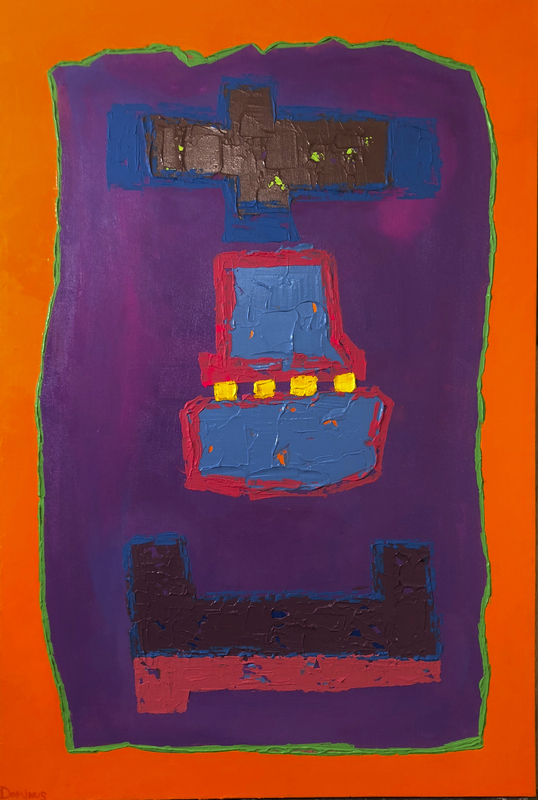 “The paintings were 24 x 36 acrylic on canvas,” Dominus says. “I painted them about 10 days before he bought them. As a matter of fact, he had bought two of the most recent painting I had done. “There was a dark one; a red and orange one. And a green one. I did the red and orange one first. I was happy with it but when I got away from it I didn’t like the contrast so I put more colors around some edges. As I began to do that and I was flipping it, it began to look like a face. Dominus’ favorite artist is Keith Haring. The paintings, radiant and jovial in nature, were sold to BTS member V for $450 apiece. Dominus is still painting every day. And is using social media and building a website in which people can buy his art. The show closed on October 7. But he reflects fondly on that rainy Friday evening.